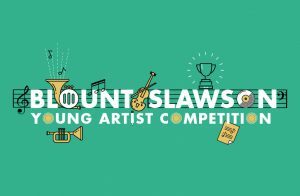 Congratulations to Raymond Tsai, the 2019 Blount Slawson Young Artist Competition Winner. Raymond Tsai is a 9th grade cellist from Phenix City, AL. Fourth place: Francis Tsai, a 7th grade violinist from Phenix City, AL (younger brother of our first place winner). Everyone who competed this year displayed amazing talent and musical ability, and we look forward to hearing the winner, Raymond Tsai, on the April 29th concert at the Davis Theatre.